It seems that every day there is new evidence of how important magnesium is in maintaining good health. 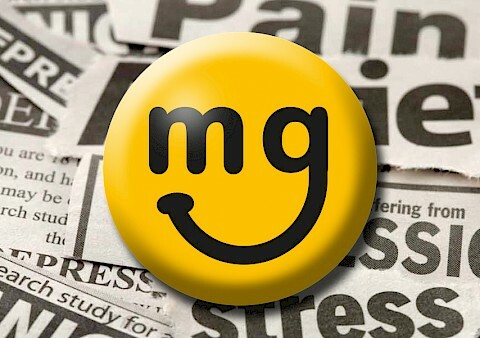 Of course, it has been well established for a long time that adequate magnesium intake is important for psychological wellbeing; now new evidence is emerging to indicate that supplementing with magnesium may benefit people suffering from depression and anxiety. According to Beyond Blue, in any year one million Australians will experience depression, and two million will experience anxiety. This is an enormous disease burden that regularly shatters people’s lives and wellbeing. There are a number of things in the toolkit for combating depression and anxiety; the most effective non-pharmaceutical treatments being mindfulness-based cognitive behavioural therapy and exercise, both known to be as effective as antidepressants in some cases. Now it seems that magnesium supplementation can also be added to this toolkit. A study published in the United States this year found that supplementing with magnesium chloride made a clinically significant improvement in mild and moderate depression, and generalised anxiety disorder. In the study, participants took 248 mg of elemental magnesium per day in the form of magnesium chloride for six weeks. The results were very positive, with most people finding that they began to improve after only two weeks of supplementation. The results were found to be as beneficial as either four weeks of taking an antidepressant, or six weeks of psychological counselling. Most of the study participants said that they would continue the supplementation after the trial finished. The study concluded: ‘Magnesium supplementation provides a safe, fast and inexpensive approach to controlling depressive symptoms…. Daily supplementation with 248 mg of elemental magnesium… per day leads to a significant decrease in depression and anxiety symptoms regardless of age, gender, baseline severity of depression, or use of antidepressant medications.